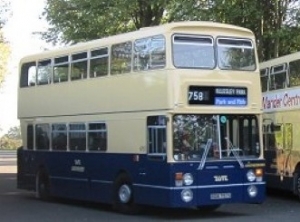 The Museum was originally set up by The Birmingham and Midland Motor Omnibus Trust, formed in 1977 as a registered educational charity and the museum site, based in Chapel Lane, Wythall, was acquired in February 1978. 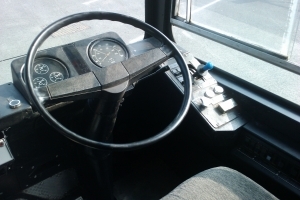 There are now three halls which accommodate one of the most significant collections of preserved buses in the country. We have the largest collection of preserved Midland Red buses and can probably make the same claim for Birmingham City Transport. In addition we believe we have the finest collection of restored battery electric vehicles in the world. These vehicles are ideal for stop-start house to house work and are still familiarly seen as milk floats. However bakeries used to deliver door to door within the living memory of most of us and their vehicles are also represented. Amongst other vehicles are two Birmingham fire engines. The delightful miniature steam railway has been constructed and operated by the Elmdon Model Engineering Society. It can be run with rolling stock built to three track gauges. To find out more about the railway, visit the separate Elmdon Model Engineering Society website. In May 2007 the 'Power Hall', our exciting new display hall largely funded by the Heritage Lottery Fund was opened to the public for the first time. The hall showcases in a colourful and enjoyable manner why the bus manufacturing and operating industries evolved in the way they have, including the outside pressures on them. 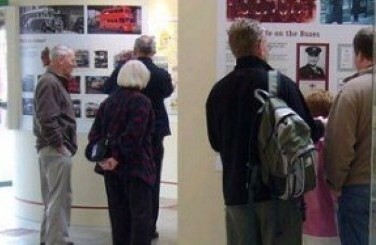 Imaginative displays link the buses and artifacts on show, and there are audio-visual facilities and assembly areas for groups and school parties.